Not just for gardeners! And not too late! (Part 7) - Perelandra Ltd.
those who think it's too late to get started this year. It's not too late. You can do this. You can keep this simple, put in just the amount of time you want, and thoroughly enjoy the process. If you have the intent to cooperate with nature, the desire to move toward balance, and a willingness to act, you can do this. In any size, any kind of garden, you will experience the powerful results of an equal partnership with nature. Working with nature on your "little" garden may be just as important to your health and well-being as anything else in your life. Even if you're not into gardening, you can work with nature to care for a potted houseplant or even a small one-fish aquarium. You'll be glad you know how to work with nature to create balance and you'll come to rely on this partnership in so many areas of your life. We're just a handful of weeks into the series. You can quickly and easily get up to speed. Each week we zero in on a few pages of The Perelandra Garden Workbook and give you one simple step in the process through your choice of two avenues: "Gut Gardening" or "Gardening 2.0." If this is all new to you, try Gut Gardening. The instructions for this are available free online here. If you want to "go all in" and use PKTT (muscle testing), start with Gardening 2.0. If you're not sure yet, start with Gut Gardening and switch to Gardening 2.0 whenever you are ready. You aren't required to do every step with us. But you must start with the first one. After that, you choose how much to do with nature this season. The rest of the series will always be there for reference when you're ready. Garden Series, Part 1: Your garden starts now. if you need more motivation, read this message from Machaelle. Already working with nature? Want to keep moving? Kudos! Did you finish placing your seed orders yet? We're going to talk about soil and fertilizer next Sunday, but you can "jump ahead" if you like. 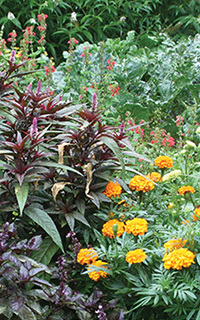 Go to page 161 of your Garden Workbook for Chapter 9: Spring Garden Prep and Soil.